This pail is beautiful. The nice flat top has helped me a lot as it holds things without them sliding off. The foot lift works great and is nice and wide. The best part is how nice and deep it is and how the bags fit perfectly...and the storage pocket is brilliant. Love, love it...would buy it over and over again. I LOVE MY BIN. INFACT I LOVE IT MORE THEN MY HUSBAND at the moment! Looks great, the bags hold well and it allows for you to use the whole bag before throwing it out for optimal use. Everyone asks where I got my sleek looking garbage can from. My third Simple human bin, and as usual it's brilliant. The improved design on the lid is good, and much easier to keep clean. Great idea to store the spare bags in the bin cavity. My only slight gripe is that it does gradually move sideways on my tiled floor, I have to keep repositioning it. Rubberised feet might help ?! So glad we ordered this trash an. It is a great size, sleek, and stays clean. So easy to use when scraping plates. Worth every Penney. I absolutely love this garbage can. The size is perfect. Not too big, wide enough that I scan scrape things off my cutting board directly in without making a mess. The bags are very sturdy and you can fill right up. So far, I haven't had any leakers. 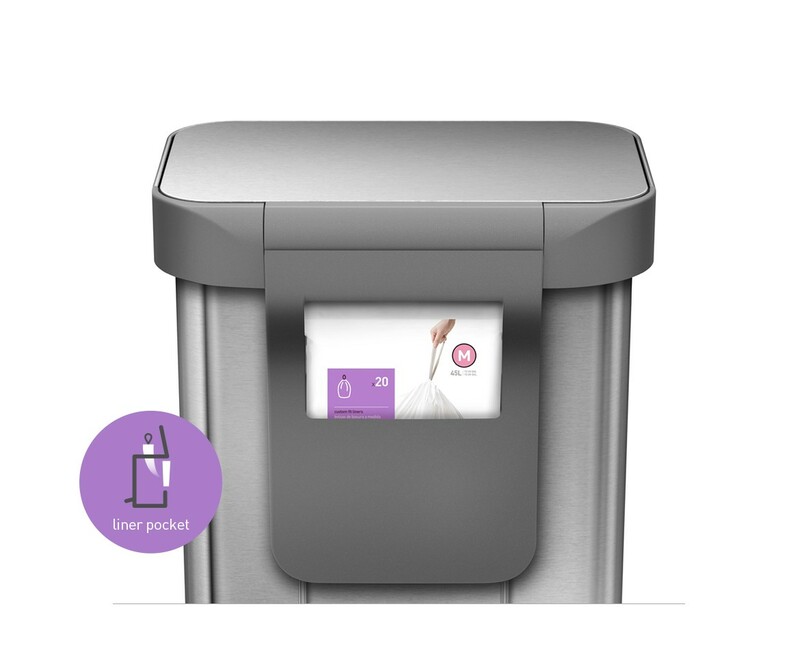 This is the best pedal bin out there, I looked at them all, then by chance my son mentioned your bin, straight away you can see its high quality, the liners are great fit, and the lid action is positive and perfect. This is definitely the best quality and the best looking pedal bin we have ever bought. 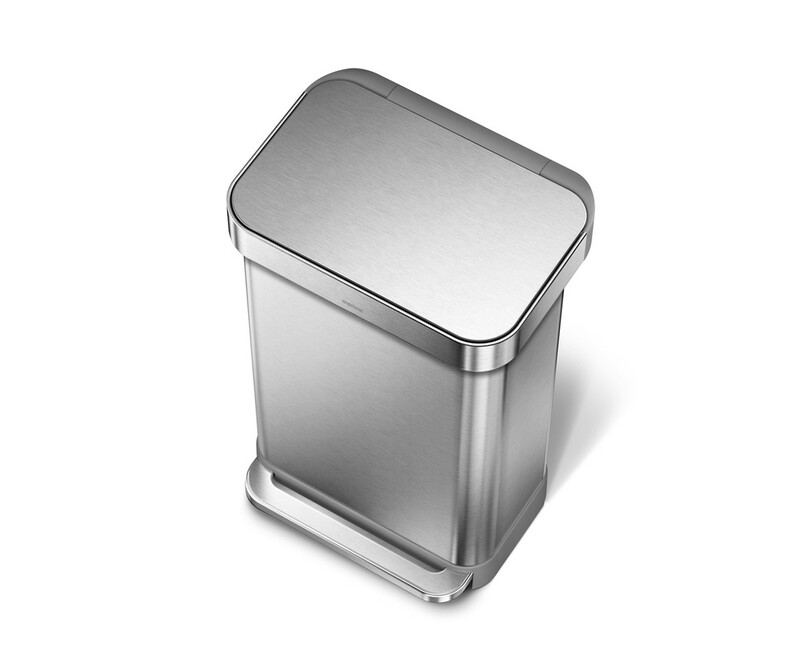 If you prefer and pay the premium price for Apple or Dyson products for their build quality and useful design, you'll love this bin. 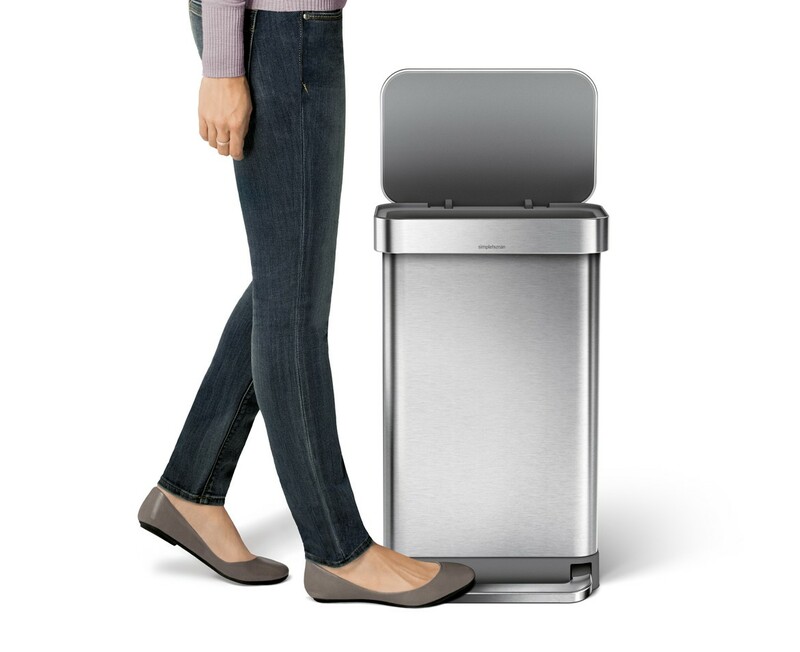 I'm a fan of Simplehuman products. They are well built, easy to clean, and last for a long time. This trash can is no exception. 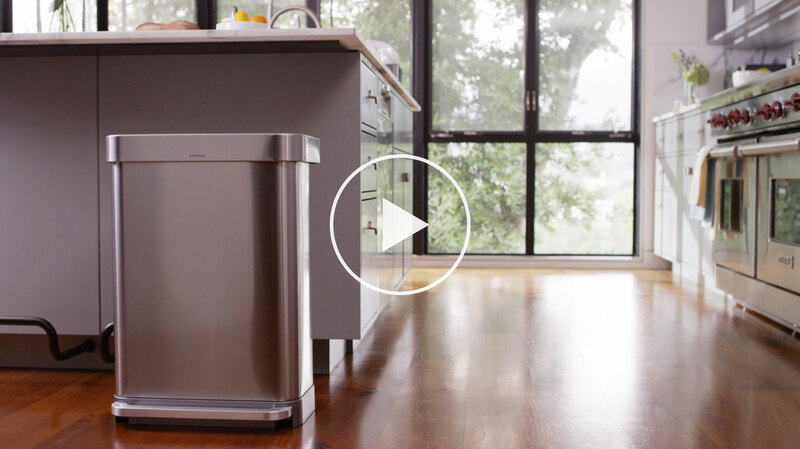 But like other Simplehuman productions, this one feels large and bulky for the size of bags it carries -- meaning it has more presence in our kitchen than it should. Otherwise we like it. A beautiful product. Love the way you can store liners right in the can. Lid opens and closes so quietly. Worth every dollar! So happy I found Simple human products !! !